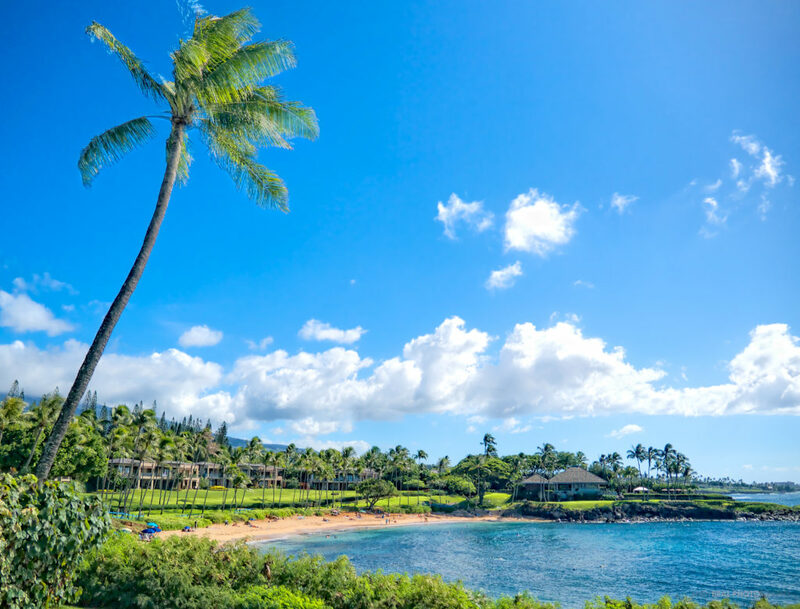 A gorgeous view of Kapalua Beach, Kapalua Bay, and Merriman’s. If you head to the north shore of Kauai, don’t blink, because you may miss this magnificent tropical garden. 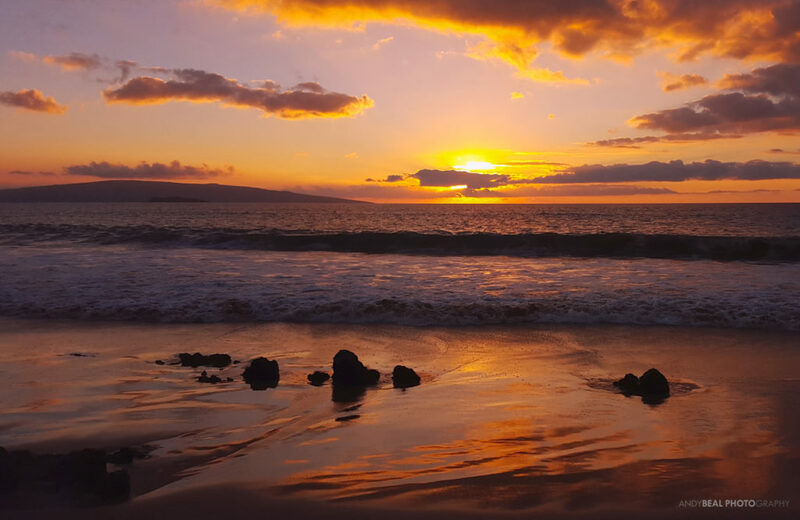 I love the reflection of the Maui sunset on the wet sand.